Glenda Phillips Hightower, the first full-time black student to attend Elon University, received an honorary doctorate from Elon at Spring Convocation on April 4. Senior Class Senator Sophie Zinn and Senior Class Treasurer Rebecca Fliegel have finally seen their vision realized after Elon University’s SGA passed legislation to provide free sanitary napkins and tampons in bathrooms around campus. 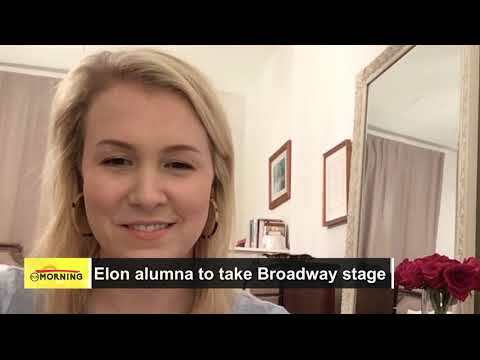 From the stage of McCrary Theatre to the Gershwin Theatre on Broadway, Elon University alumna Ginna Claire Mason Moffett is preparing to defy gravity — and the odds. The immigrant community has been living in fear after changes in the recent administration’s posture toward border security, according to a panel from Immigrant Realities on Wednesday, March 20. Ian Baltutis, the current mayor of Burlington, announced Wednesday that he plans to hit the campaign trail again, hoping to keep his seat in office this coming November. Religious leaders from across campus came together Monday afternoon to show their support for the Muslim community in the wake of the terrorist attack in New Zealand, where a gunman killed 50 people and injured 50 more at two mosques. Nearly every seat was filled in the Numen Lumen Sacred Space to reflect, pray and support one another. 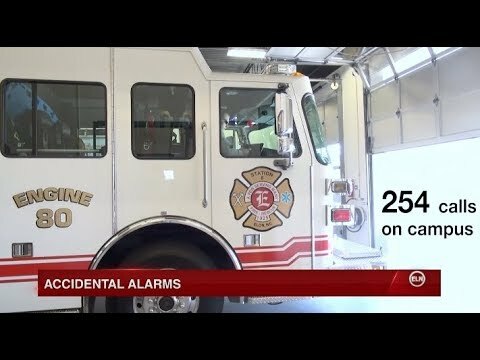 Last year, Elon Fire Department responded to 254 fire calls on campus last year. Ten were malfunctions in the system, and the rest because the alarm was set off by something else — burnt popcorn, extra crispy bacon or an especially steamy shower. The university filed the objections with the National Labor Relations Board regarding the Service Employees International Union's election practices. In an email from Provost Steven House, the university rebuked the SEIU for what it viewed as aggressive outreach to potential union members and misrepresentations of the university's governance system. The North Carolina State Board of Elections approved the use of an alternative voter identification card for Elon University students. This decision comes after Senate Bill 824 was passed, which stated that university IDs could be used as a photo ID if the card met the requirements set by state. An Elon University student reported they were assaulted and robbed early Friday morning, according to an alert sent out to students. SGA held its final business meeting of the 2019-2020 legislative year following its election announcements. To wrap up the year, the senate approved three special allocations and approved two pieces of legislation. One piece gave women more access to hygiene products and the other educated the body about environmental concerns in Alamance County. Elon University will not be changing all Phoenix Cards to meet the requirements for a voter identification card and has instead applied to provide an alternative ID card to students who request one. Elon police have responded to a malfunction in the railroad system where it crosses downtown Elon. There was heavy traffic for about 30 minutes on North Williamson Avenue crossing onto South Williamson Avenue. Adjunct, limited-term and visiting Elon University faculty members voted in favor of establishing a union at Elon. Out of the 283 eligible voters, 112 voted for the union, and 68 were against. L.M. Wood, associate professor of art at Elon University, passed away in her sleep Saturday night. Her husband, David Schaeffer, who also taught courses at Elon in the art department, shared the news. A recent Elon University survey found that one in five people registered to vote in North Carolina think election fraud is a “major problem” across the state.